I had a fun experience today while walking the main drag in my West Seattle neighborhood. I wandered past the brand new branch of Verity Credit Union. Two years ago I had the opportunity to lead a Futurist.com evening and day of long-range strategic thinking for Verity Credit Union, a Seattle area financial institution. The retreat was enjoyable because of their intense focus on how to better connect with and support their communities (and also because the retreat took place on an estate winery overlooking the Columbia River gorge in central Washington state!). Naturally in this world of financial technology (FinTech) and the assumption by many that all banking will soon be digital only, we discussed the counter-evidence that people still desire a high-touch as well as a high-tech experience. 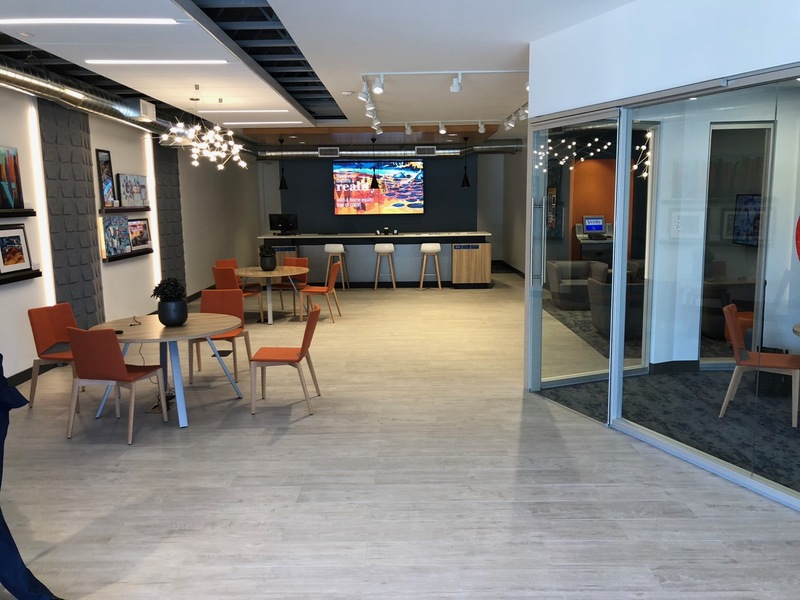 In fact, one recent study in the U.S. found that 61% of bank and credit union customer still visit a physical branch about once a month, while another study suggested that one in four customers visit a branch several times a year. So, the question for the next decade or two may be how best to combine a modern branch plus digital strategy in targeted neighborhoods. 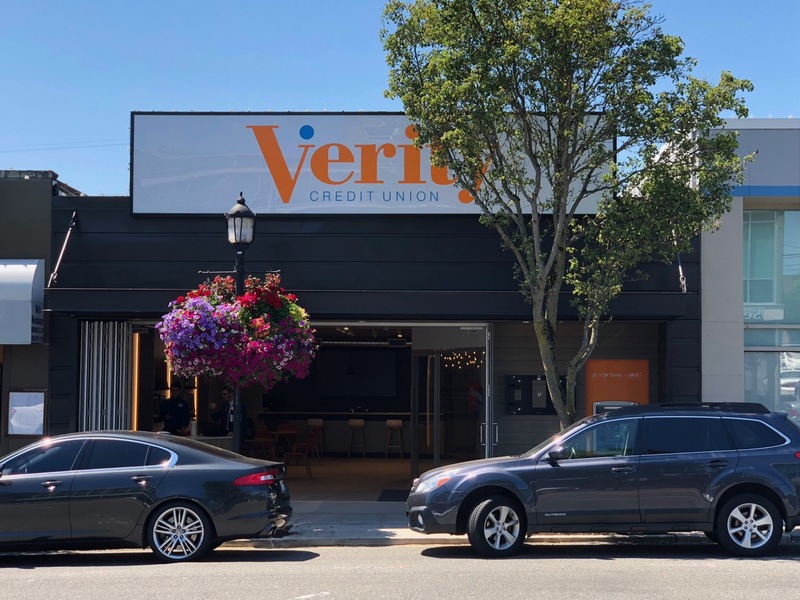 Verity Credit Union, my former strategic foresight client, has decided that a local branch plus high tech is the way to go. So then the question is how to develop an ultra-modern and inviting as well as functional space. 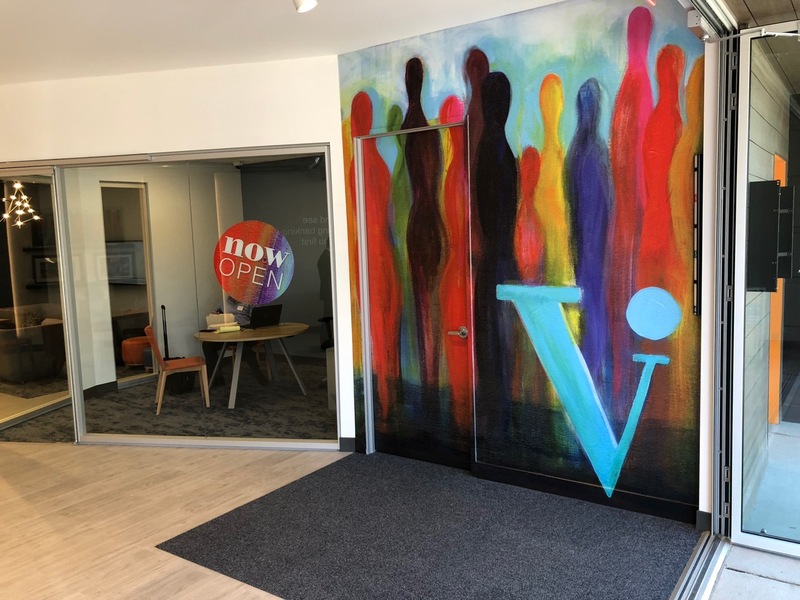 With their new West Seattle branch opening completely to the street with barn doors, and a chic design esthetic it looks good to me.